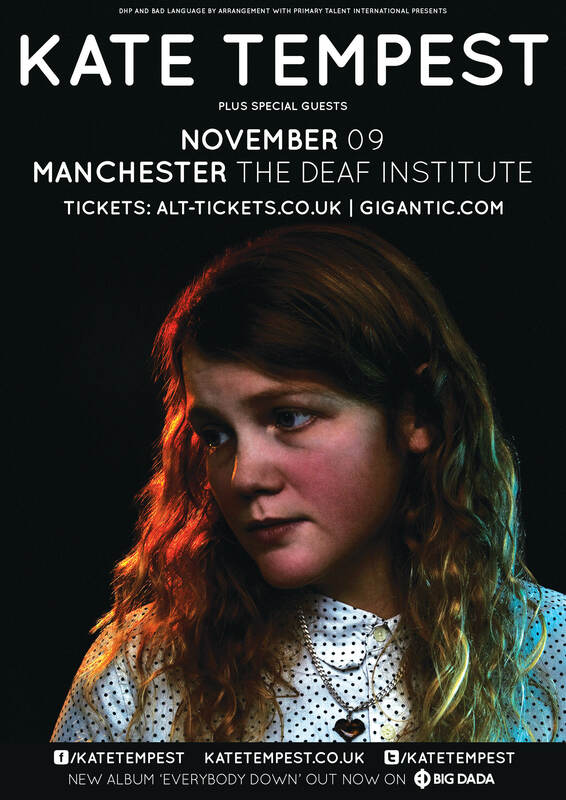 Genre-busting poet and MC Kate Tempest will bring her new album Everybody Down to Manchester on Sunday November 9. Kate has headlined Latitude and has been all over the tellybox, from Channel 4 to the BBC’s Glastonbury highlights. Her poetry collections have won acclaim alongside her music performances, and she has won the Ted Hughes prize and the Herald Angel at Edinburgh Fringe. She’s also a slam winner at New York’s amazing Nu-Yorican poetry cafe. The New York Times described Kate’s spoken word performances as if “you had a state-of-the-art Blu-Ray player stuffed in your brain”. While Kate works on a new collection of poems for Picador, Manchester live literature promoters Bad Language are delighted to bring Kate to the Deaf Institute alongside co-promoters DHP Family to show off the musical side of this immense talent. Tickets are £12.50 and go on sale at 9am on Wednesday June 4. Buy your tickets here.